Leftist leader calls on American Jews to shun Israeli Consul General over his pro-settlement views. The leader of a left-wing Israeli think tank has called upon American Jews to shun Israel’s Consul General in New York and to reject representatives of the Jewish state abroad based on their personal political views. Avner Inbar, a senior member of the left-wing think tank Molad: The Center for the Renewal of Israeli Democracy, recently pushed a group of leftist American Jewish activists to shun Israeli Consul General in New York Dani Dayan over his support for the Jewish presence in Judea and Samaria, NRG reported Sunday. According to the report, Inbar told the American Jewish activists that the warm reception Dayan, the Argentinian-born businessman-turned-settlement leader, had received was “problematic”. 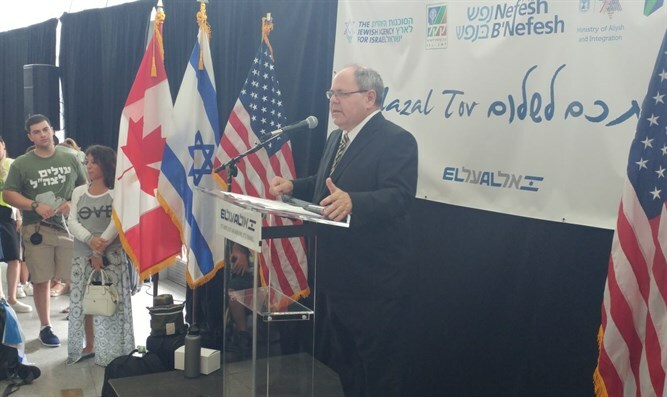 A secular Jew who twice ran for the Knesset on the Tehiya party list and led the Yesha (Judea and Samaria) Council for six years, Dayan has cultivated close ties with Jewish communities across the United States as Consul General, including Reform congregations. That broad appeal, Inbar warned activists, has made Dayan a threat to the left-wing agenda, urging them to encourage Jewish leaders to shun Dayan and cut their congregations ties with the Consul General. Inbar argued that American Jews aligned with the progressive-left must ‘make a choice’ politically and distance themselves from leaders, including representatives of the State of Israel, who hold views counter to the left-wing agenda. Inbar then went even farther, warning that if American Jewish groups or congregations did not heed his warning and refused to shun Dayan, Molad and other left-wing Israeli groups would cut ties with them.